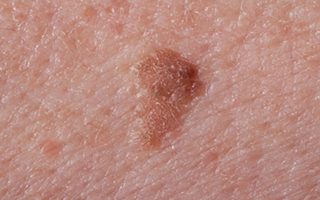 Years ago, people thought liver spots of the skin were the result of liver disease. Today, we know they're not. 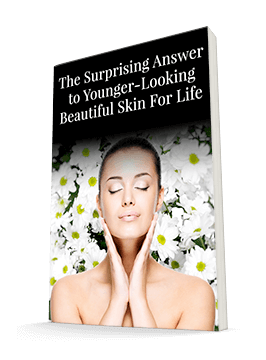 But what we didn't know until now is that there really is a connection between your liver and the health of your skin. In fact, we've just learned that this connection can help you avoid skin disease. And it can help you avoid the development of a fatty liver. New research conducted at the University of Southern Denmark by Professor Susanne Mandrup and Nils Faergeman is uncovering the link between the skin and the liver. They were conducting a study on what are referred to as "knock-out" mice because they have a specific fat-binding protein "knocked out." They noted that some of these mice had oddly greasy fur, and they also struggled to be weaned from their mothers. They weren't gaining weight or thriving, but they were accumulating fat in their livers. Initially, they thought the absence of the "knocked-out" gene could explain the liver fat. But once they eliminated that explanation, they began searching for another answer. They also noted that the mice had "leaky" skin and tended to lose more water than regular mice. Researcher Ditte Neess explained the importance of this discovery: "When they lose water, they also lose heat. We therefore asked ourselves whether this water and heat loss could be the reason why the mice accumulated fat in the liver and became weak when weaned from their mother." To find out, they first developed some mice who only lacked the fat-binding protein in the skin. And these mice demonstrated the same problems as the regular "knock-out" mice. To see if it was truly the skin defect that was affecting the fat deposits in the liver, the researchers then coated the mice in Vaseline. This prevented water and heat loss, and sure enough, fat stopped accumulating. But since Vaseline contains fat, they wanted to make sure that fat absorption wasn't causing an unintended side effect. So they tried again with liquid latex - and the fat accumulation in the liver stopped again. Susanne Mandrup and Dittee Neess explained, "We believe that the leaking of water from the skin makes the mice feel cold, and that this leads to breaking down of fat in their adipose (fat) tissue. The broken down fat is then moved to the liver. The mice move energy from the tissues to the liver." While researchers are still learning how to harness this new information, it's a good example of how the health of every part of our bodies affects the rest. By keeping your skin in good shape, you may be able to protect your insides too, keeping your liver healthy and working for you. p> Ditte Neess, Signe Bek, Maria Bloksgaard, Ann-Britt Marcher, Nils J. Færgeman, Susanne Mandrup. Delayed Hepatic Adaptation to Weaning in ACBP-/- Mice Is Caused by Disruption of the Epidermal Barrier. Cell Reports, 2013; DOI: 10.1016/j.celrep.2013.11.010.